Lots of tools and software claim that they are best data and emails recovery service provider in the market but at some point they get wrong on their expectation, but users don’t think that all software are same like other fraud application because Atom TechSoft OST to PST Software made unique software which basically recover and convert OST file data into PST file, but in different and advance style. OST converter to PST software scans whole OST file data and removes all dangerous and harmful errors from the root of OST data. It is not compulsory that this software only recover corrupted and harmed OST file, it also recover healthy OST file and effectively convert OST mailbox items into PST file with , EML, MSG, HTML, MHTML, MBOX, RTF, TXT, MS outlook profile, DOC, PDF. 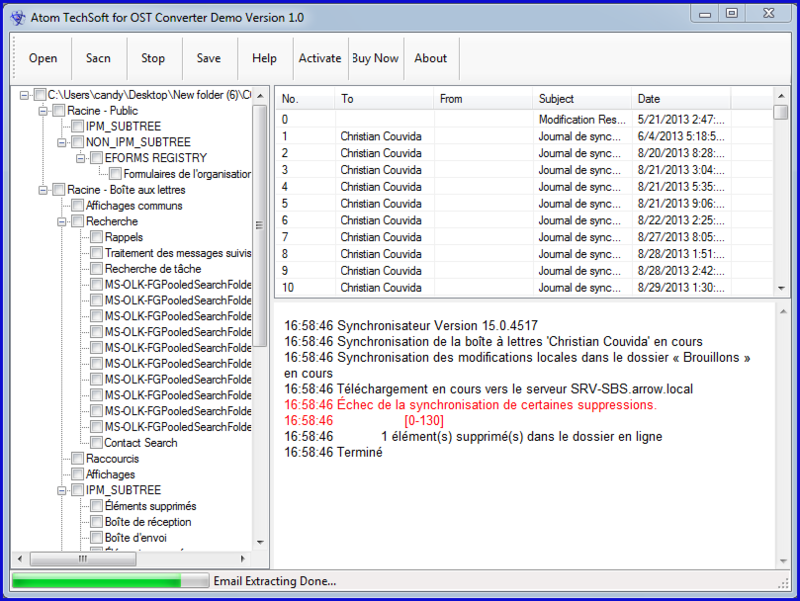 OST Converter software gives new birth to OST file without any type of selfishness and false promise. Let’s talk about its which gives more convenient to all users like naming convention feature, by using of this feature restore all the emails with (subject, date+subject, from, date, subject, subject +date and subject+date+ from etc.) Message filtering feature, this feature is the more time consuming feature by which you can recover two dates’ emails from “start date” to “end date”. Split heavy PST file from 1GB to 5GB. So, users fastly download this OST to PST Converter software without go on other fraud application, this software gives right direction for recovery and conversion of OST file.